What your customers do not tell you is just as, if not more, important than what they do. Yet, so many companies ignore the glaring emails and aggravated customers, settling for mediocre. While advanced communication both streamlines and complicates our lives, these seven customer service “nonnegotiables" will transport you and your team to a new level of service. Drawing on more than two decades in the hospitality industry, Gail shares her passion and best practices for service leadership that will keep your internal and external customers coming back for more! Gail Lowney Alofsin is a keynote speaker, author, university professor, executive coach and sales & marketing consultant. Gail is the author of Your Someday Is Now – What are you Waiting for? focused on work/life integration, leadership and living life to the fullest. Published in April 2014, 100% of sales of the book have been donated to non-profit organizations raising over $30,500 to date. Gail is a graduate of Tufts University. She has a certificate in Leadership from Bryant University. She has been an adjunct professor at the University of Rhode Island since 1999, teaching in four different departments – Journalism, Public Relations, Library Science and Communications. Gail serves on the Martin Luther King Jr. Center, St. Michael's Country Day School and Salve Regina University Advisory Boards. Past board appointments include the Sovereign Bank RI Advisory Board, Newport Public Library, Leukemia Society and 10 years on the Newport County Convention and Visitors Bureau board. She has been a volunteer for her family's non-profit organization, the Haitian Health Foundation (HHF) since 1982 for three decades. Gail resides in Newport, Rhode Island and travels whenever possible with her pilot husband, John and son Samuel, a left handed pitcher! Why are some park districts obtaining strong voter support for capital improvements, while others are failing miserably? What steps are winning districts taking to improve their chances of success at the polls? What is the four-phase public outreach approach that was used by Joliet Park District and many other public entities in 2014 to obtain strong voter support for capital improvements? Joliet Park District Director of Planning and Parks,Larry Burich, and George K. Baum & Company's Senior Vice President, Paul Hanley, will discuss a four-phase public outreach strategy that resulted in 70% voter approval of funding for a new recreation center in an underserved area of Joliet, a new indoor training facility and improvements to more than 20 parks district-wide. Across the country, public servants grapple to redefine government. Park and recreation agencies are uniquely positioned to lead the development of a more inclusive democracy, transform government, and advance racial equity. To do so effectively, we need a common understanding of terminology, including equity, implicit and explicit bias and individual, institutional and structural racism, and we need to be able to develop and implement effective strategies. This will be an interactive and engaging learning experience with a focus on specific tools that will provide a common foundation for our work to advance racial equity. Julie Nelson is the Senior Vice-President at the Center for Social Inclusion and Director of the Government Alliance for Race and Equity (GARE). She is also a Senior Fellow at the Haas Institute for a Fair and Inclusive Society at the University of California, Berkeley. GARE is a national network of government working to achieve racial equity and advance opportunities for all. Nelson is the former Director of the Seattle Office for Civil Rights where she provided vision and hands-on leadership for Seattle’s Race and Social Justice Initiative. She has 25 years of experience working for local, regional and federal government, including with Seattle’s Human Services Department, Administrative Services and the utilities; Housing and Urban Development; and Pima County Community Services in Tucson, Arizona. She has a Masters Degree in Economics from the University of Washington, and has served on the boards of many non-profits and is involved with groups working for racial equity. This session will share with you how Round Rock bridged these two concepts and created the award winning Play for All Park. Attendees will hear about the Play for All Park from concept and design, implementation, fundraising and marketing strategies, programming and learning opportunities and the positive impact the park has made on the Round Rock community. Every community has individuals with disabilities or various limitations. Every community has parks and playgrounds. Have you ever thought how effectively play and socialization can occur for an individual with disability or limitation in your current playground/park? Have you ever thought how an individual with disability or limitation could learn and grow within a playground/park structure? This session will share with you how Round Rock bridged these two concepts and created the award winning Play for All Park. Attendees will hear about the Play for All Park from concept and design, implementation, fundraising and marketing strategies, programming and learning opportunities and the positive impact the park has made on the Round Rock community. 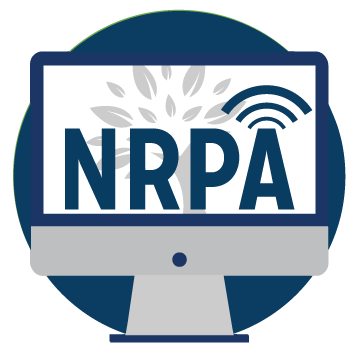 In this webinar learn how NRPA Innovation Lab examined how Chicago Park Districts special events, signature spaces, and neighborhood parks and recreation assets created tax revenue, increased property values, and benefited people in all parts of the city. 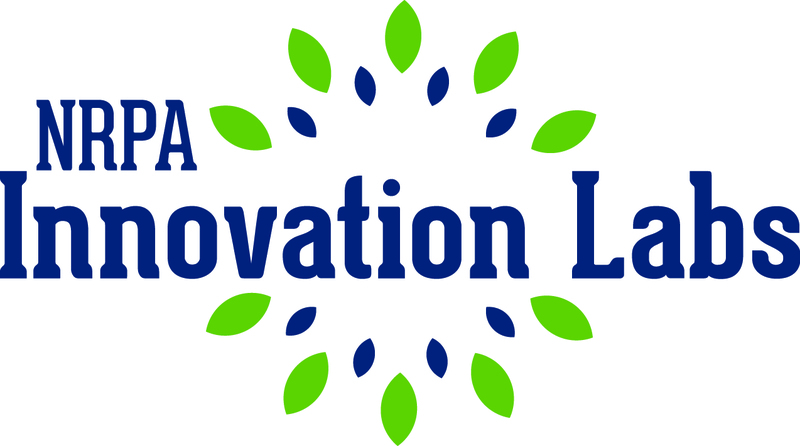 The NRPA Innovation Labs are a new approach to bringing together some of the sharpest minds both in and outside the field of parks and recreation to explore how innovative thinking can meet emerging challenges, reduce costs, and better serve the public. 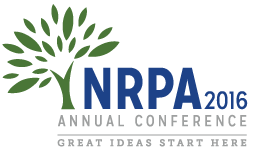 In this webinar learn how NRPA Innovation Lab will examine how Chicago Park Districts special events, signature spaces, and neighborhood parks and recreation assets create tax revenue, increases property values, and benefit people in all parts of the city. Kevin oversaw NRPA's Federal Advocacy efforts and leads NRPA's engagement with urban directors and agencies. Previously, O'Hara was Manager of Government Affairs for the American Society of Landscape Architects where he oversaw advocacy efforts on urban parks, green infrastructure, children's access to nature and more. O'Hara also worked for a non-profit in the higher education finance sector where he led advocacy and college access initiatives. O'Hara earned a B.A. Political Science from the University of Wisconsin-Madison, and a Masters in Urban and Regional Planning from the University of Minnesota's Hubert H. Humphrey School of Public Affairs. Jack Kardys has recently retired as the Director of the nationally accredited and Gold Medal Award winning Miami-Dade Parks, Recreation & Open Spaces Department (MDPROS), one of the largest and most diverse park systems in the country with 270 parks on 13,000 acres of land. Built on a foundation of organizational excellence and the pillars of Health, Placemaking and Conservation, MDPROS serves 2.7 million residents and 25 million visitors annually. Jack has served the profession for more than 38 years and earned dozens of awards that recognize his extraordinary leadership and achievements. Jack is currently the Chairman of the Board for N and the Past-President of the FRPA. With Jack’s guidance, the Miami-Dade County Parks and Open Space System Master Plan established the blueprint for improving the quality of life in Miami through a system of great parks, public spaces, natural and cultural areas connected by great greenways, blueways, trails and complete streets. Through collaboration with dozens of community partners, this Master Plan is a national model for enhancing Miami-Dade’s health, happiness and economic prosperity. Jack is currently an associate with PROS Consulting and the President of J Kardys Strategies, LLC, working with progressive park agencies developing and implementing innovative park and public realm strategies for building healthy and sustainable communities. Maria Nardi was appointed Director for Miami Dade County Parks, Recreation and Open Spaces Department (PROS) effective August 1, 2017. Ms. Nardi is responsible for one the most diverse and largest park systems in the country. She oversees Planning and Development, Park Stewardship Operations and Administration of a system that includes over 270 park properties, over 13,000 acres of park land comprised of active and passive parks, as well as protected, environmentally sensitive properties, serving 2.7 million residents and approximately 1.4 million residents for the unincorporated area. They include the Deering Estate at Cutler, Zoo Miami, managing over 26,000 acres of Natural Areas Conservation and Management (NAM), Golf Enterprise, 14 miles of Beaches, Agriculture Extension, Causeways, 260 miles of roadways, Disabilities Services, Marina Enterprise, and multiple Operating Regions. Ms. Nardi is committed to public service and the enhancement of the community’s health, happiness and prosperity through the implementation of the Parks, Recreation and Open Space Department’s Planning and Design Excellence, Health and Fitness and Conservation Pillars. She has worked in the public sector 20 years where her vision for a sustainable and resilient community focuses on the premise that every great community has a great park system. Ms. Nardi oversees the implementation of the Parks and Public Space Masterplan to transform Miami Dade into a more economically, socially, and environmentally vibrant community through a system of parks, public spaces, natural and historic areas connected by greenways/blueways and complete streets designed as linear parks. Her vision includes the role of parks and public spaces in shaping cities; the emerging evidence-based science of health and the built environment; and the creation of equitable, resilient communities through parks and public space. Ms. Nardi is a sought-out speaker on issues related to the role of parks and public space in the development of cities. The Parks Masterplan and Recreation Program has been recognized by the White House and the National Park and Recreation Association as a national model for transforming communities. Among other accolades, she holds invited membership on the highly selective International Women’s Forum and is an appointed member of the Board of Directors of City Parks Alliance, the only independent, nationwide membership organization solely dedicated to urban parks. She has been recognized for her work with the International Progressive Architecture Urban Design Award, the University of Miami Award for Outstanding Contribution to the Architecture Profession, the Harvard Honor Award for Excellence in the Study of Landscape Architecture, The Mayor’s Woman Pioneer Award, and the Miami AIA Leadership in Government Award. When it comes to influencing and persuading others, it is often the smallest changes in our approach that can yield the biggest differences. When it comes to influencing and persuading others, it is often the smallest changes in our approach that can yield the biggest differences. This recorded webinar focuses on the 'rules of persuasion', how subtle changes in how we communicate can impact other's behavior, and how this can boost others' involvement in events, programs, and community initiatives. The university research and 'real world' applications are both compelling and overwhelming - subtle changes in how we communicate and market our programs and services can yield huge dividends, both to our customers and our bottom line. Jeff Price has presented on these topics, and related business and leadership development topics, at more than 20 parks and recreation conferences including the keynote this year at California Recreation and Parks Conference, and around the U.S. and Canada. I have presented sessions at the annual conferences for Michigan Recreation & Parks Association, Washington, California (twice), British Columbia, Colorado, Texas (twice), Florida, as examples. I serve with the NRPA Pacific Northwest Region Leadership Network. I have an MBA and have served as an adjunct professor for a university. I have written and have had published 2 articles relating to the subject matter in 2012. One article I wrote for the 2012 WRPA magazine summer edition and another article for the national Parks & Recreation Magazine 2012 July issue (Innovation – The Youngest Master Planners. pg 49). This archived webinar discusses the keys to ensuring accessibility to parks through creating safe routes to parks within communities. When people have the resources to safely walk to parks, every trip taken by foot is an opportunity to engage in physical activity. You will understand the obstacles limiting walkability to parks and learn about the essential elements of a safe route to a park. Experts share successful efforts currently underway that are improving walkability in communities and creating safer routes to parks. 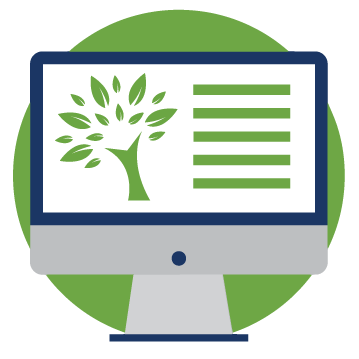 ​Prepare yourself to sit for the CPRP certification exam by taking the CPRP practice exam! Prepare yourself to sit for the CPRP certification exam by taking the CPRP practice exam! The Practice exam questions are currently based on the previous CPRP exam content outline, but are still relevant and are comparable in style and design to the current CPRP certification exam. Once you first access the practice exam you have 60 days to complete it and unlimited opportunities to pass it. You will receive both the correct and incorrect answers to the questions you answer so that you will be informed as to what areas you may need to concentrate on when preparing for the CPRP exam. The webinar will focuses on preparation of the self-study and all program documentations addressing the COAPRT 2013 academic program standards and the logistics of hosting an accreditation visit. 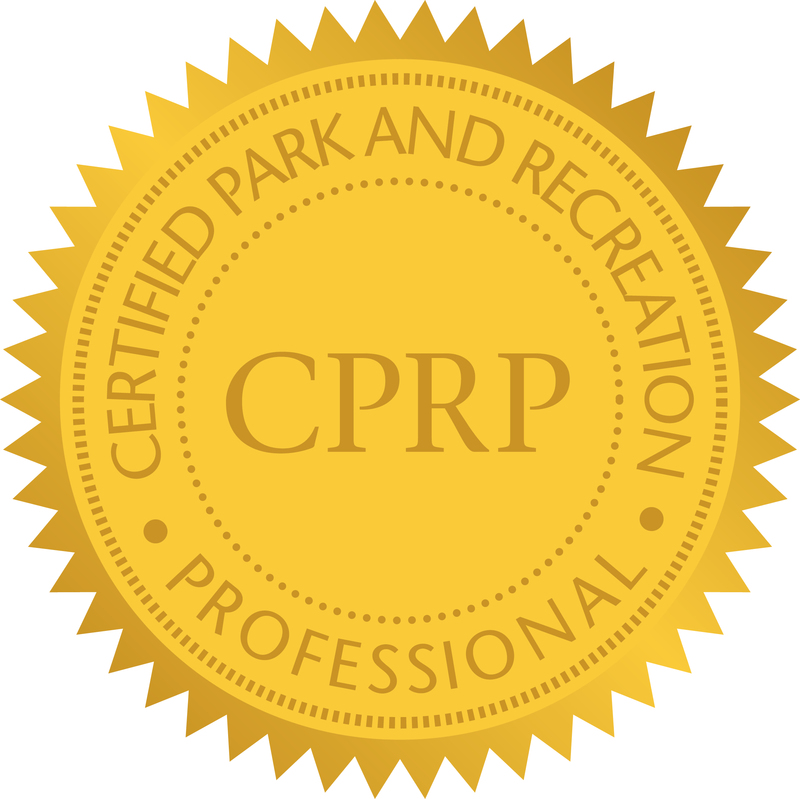 The Council on Accreditation of Parks, Recreation, Tourism and Related Professions (COAPRT) adopted new academic program standards on January 1, 2013. This webinar is designed specifically to train a minimum of one faculty representative of programs scheduled for accreditation/re-accreditation within the next two years. The webinar will focus on preparation of the self-study and all program documentations addressing the COAPRT 2013 academic program standards and the logistics of hosting an accreditation visit. All prospective visitors are required to attend a COAPRT training regardless of the date of their most recent training. Programs scheduled for accreditation/re-accreditation within the next two years are required to have a minimum of one faculty member complete COAPRT training. This webinar focuses on the preparation of the self-study and program documentation addressing the COPART 2013 academic program standards and logistics of hosting an accreditation visit. The Council on Accreditation of Parks, Recreation, Tourism and Related Professions (COAPRT) adopted new academic program standards on January 1, 2013. This webinar is designed specifically to train a minimum of one faculty representative of programs scheduled for accreditation/re-accreditation within the next two years. The webinar will focus on preparation of the self-study and all program documentations addressing the COAPRT 2013 academic program standards and the logistics of hosting an accreditation visit. All prospective visitors are required to attend a COAPRT training regardless of the date of their most recent training. Programs scheduled for accreditation/re-accreditation within the next two years are required to have a minimum of one faculty member complete COAPRT training.